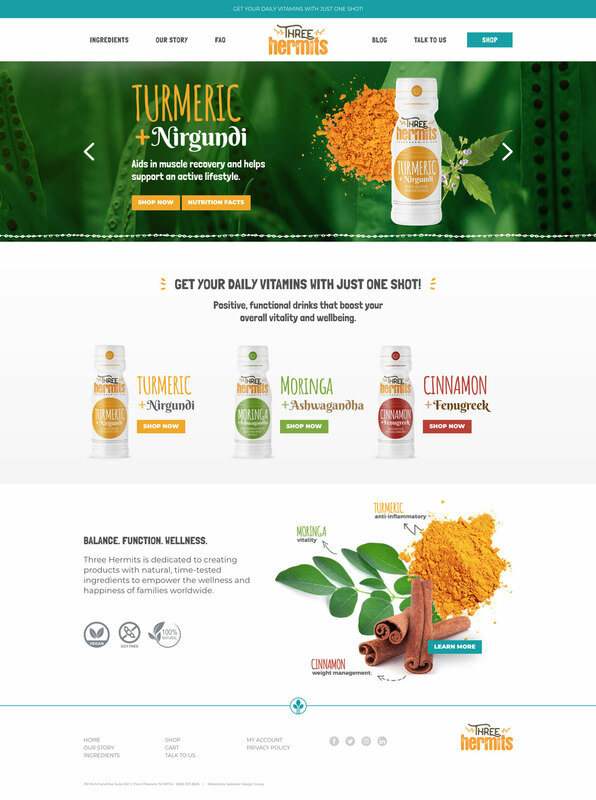 To create an e-commerce website for the Three Hermits, a startup health supplement brand. The Three Hermits site effectively showcases the company’s positive, functional drinks, along with ingredient information and an e-commerce online shop for consumers to purchase their products. This was one of our favorite projects to work on this year and we’re thrilled to help get Three Hermits out on the market for everyone to love and enjoy!